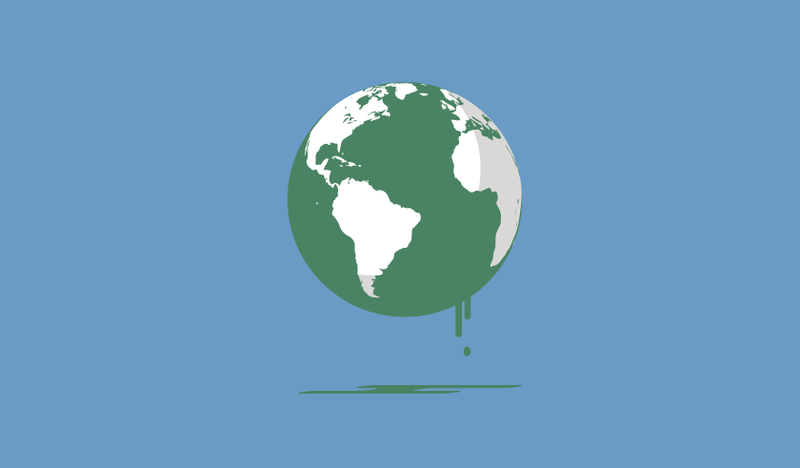 Why choosing Counter Tax, and passing on the “climate-change deniers”, was the right long-term move. As a 2L law student looking at my career options and the future of law, I found myself less interested in Bay Street and more interested in working at a top boutique law firm. After all my research and thinking, I decided that the best place to gain the support, exposure, and skills that I will need as a 21st-century litigator was to summer at Counter Tax Lawyers. I knew I was interested in tax law and litigation, but it was something more that drew me to the firm. In the weeks leading up to in-firm week in Toronto, I continually returned to Counter Tax’s website. In addition to the tax and culture articles, listening to the Building NewLaw podcast got me really excited about Counter Tax’s mission and the lawyer that I want to be. In retrospect, this was probably a sign. Among the boilerplate student recruitment websites, Counter Tax stood out like a sore thumb. I thought a lot about Counter Tax’s focus on producing the highest quality legal work while confidently carving out a new path in a field that often seems to ignore and even resist change. Counter Tax’s relentless drive to be better comes through in the interview process as well. We discussed whether (and how) the firm could help me achieve my vision and goals, and whether (and how) that vision aligned with Counter Tax’s vision and goals. It was clear that they weren’t looking for law students that just want to add “tax experience” to their resumes because they think it sounds lofty. They were likewise uninterested in hiring a reasonably pleasant person to do mindless work and go on coffee runs for three months. 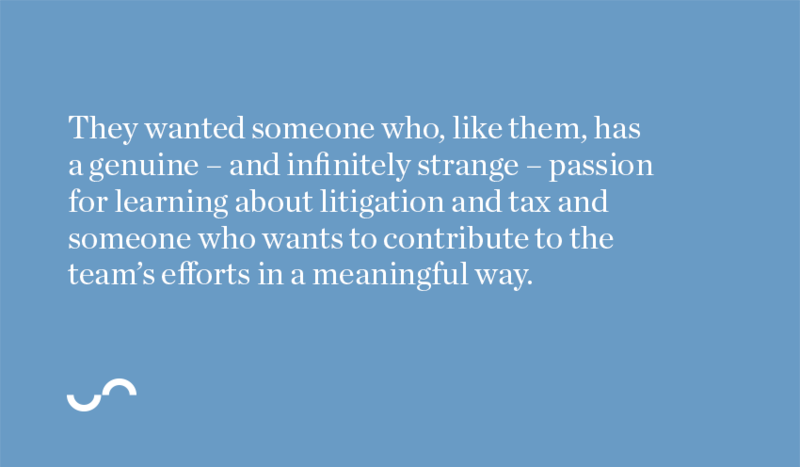 They wanted someone who, like them, has a genuine – and infinitely strange – passion for learning about litigation and tax and someone who wants to contribute to the team’s efforts in a meaningful way. Peter, Sigita, and Yoni didn’t just skim my resume or ask me cookie-cutter questions about my interest in running or travelling. Driven in part by Counter Tax’s crowdsourced questions and answers, we had deeper conversations about the things that were important to me as a person and who I want to be as a professional – things more relevant to me and my long-term path. They explained that, yes, they want super smart people with an insatiable desire to win, but they are equally obsessed with adding people who thrive on helping others learn and grow. The firm has a real sense of solidarity, and I was excited at the prospect of working in an environment where I can learn from people who are not only willing but actually eager to help me reach my goals. Towards the end of the second interview, Peter picked up on something I had mentioned earlier and pressed me as to why it was important to me to work for a firm that is in “perpetual beta”. 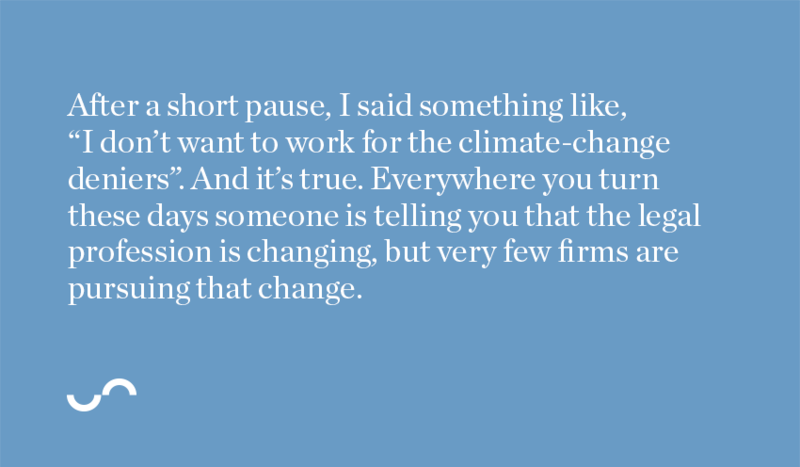 After a short pause, I said something like, “I don’t want to work for the climate-change deniers”. And it’s true. Everywhere you turn these days someone is telling you that the legal profession is changing, but very few firms are pursuing that change. Law students have to consider a lot when comparing traditional law firms to Counter Tax. If you haven’t found the answers on the CounterCulture blog, send us an email at join@countertax.ca and ask us anything. Or you can apply for an open position and ask us in the interview. We’re an open book. I’m confident that veering away from Bay Street and choosing Counter Tax was the right choice for me. I’m also confident that – when the time finally comes to adapt or die – my training will make me into one of tomorrow’s best litigators with the skills (and hopefully some robots) to conquer any challenge.